I like to cut and paste: Scrap It Girl New Challenge! Get out your embroidery floss and sewing needles--it's time for the new challenge at Scrap It Girl! This month the challenge is to have sewing on your project. Be sure to check to the site to see the awesome prize that goes with this month's winner! Thank you for stopping by! We can't wait to see what you make! Love love love this! LOVING the splatter!!!! Love this!! 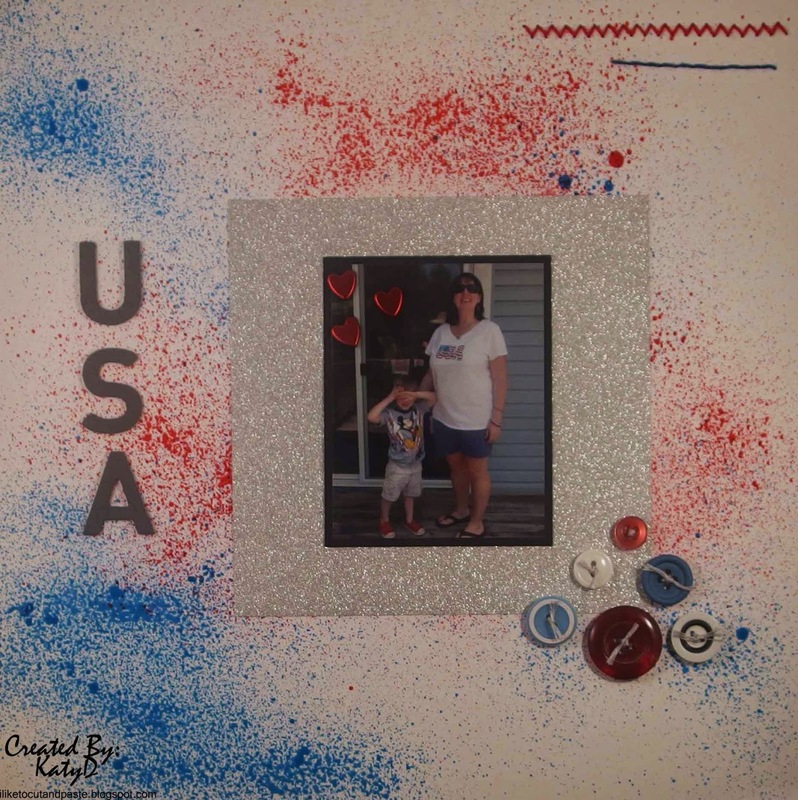 The splatters are perfect for this USA page! !